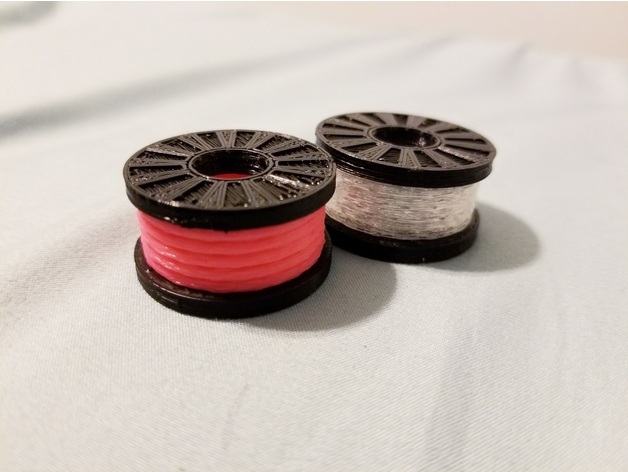 Short Mini Filament Spool Top and Bottom #3DThursday #3DPrinting « Adafruit Industries – Makers, hackers, artists, designers and engineers! I really liked the top and bottom of this model: https://www.thingiverse.com/thing:2324616 but I felt I didn’t need it to be so long in the center (since I planned on glueing the middle in anyways), so I cut it down in tinkercad. I also removed the keychain because I am just going to be carrying these around, or having them lay around the house.